The MC03 project is our third renovation in the iconic Marina City complex in Chicago designed by Bertrand Goldberg. 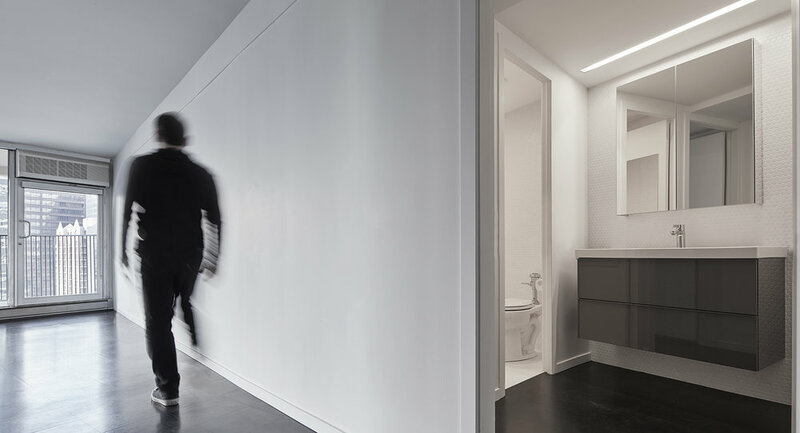 Throughout the years, many residential units in the complex have suffered from renovations that compromise the original spaces and intent of the architect. For this project, we referenced the design template developed during MC02 to return units to their original spatial and material condition while updating all its system to current comfort standards. Similar to MC01 and MC02, our previous projects in the building, MC03 reintroduces a spatial clarity to the unit, prioritizing key aspects of the original design by Goldberg such as its structure and minimizing the color and material palette. MC03 is a project that applies our design template to bring back the original spatial qualities of the residential units while updating it to modern standards.